Realistically… how are you supposed to learn how to communicate effectively? When are we taught how to communicate? For most people, the answer is”never”. Not from our parents… not in grade school… not in high school… and not even in college or university. Even business communication classes don’t give you practical skills you need to succeed in today’s ultra- competitive workplace. Fortunately, there are easy-to-learn and easy-to-use step by step systems, methods, and frameworks you can learn and follow to communicate effectively even if you have struggled your entire life. And if you’re already a good communicator, you can be even better… fast. Here’s an example: Use this eight word question to get a raise! Some people are natural communicators – but I’m not. And… if you are reading this, you might not be a naturally gifted communicator either. I’m a communication challenged computer programmer who started several companies and I’ve struggled all of my life to be understood and understand others. So… I decided to study the best communicators of all time, learn their methods, and use these methods to my benefit. 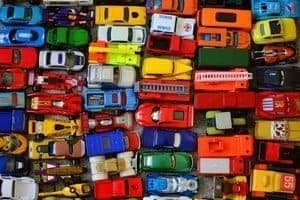 While they have different sizes, shapes, colors, and body styles, they still operate basically the same. This means that once you learn the pricinples of effective communication, the principles work for everyone. I’ve condensed everything I’ve learned about effective communication into step-by-step frameworks that anyone can learn – and I’ll teach these methods to you and your staff. Not only will you learn the steps, you will also understand the principles underlying them so you know why they work and can apply them to a wide variety of situations. Have you ever been afraid to say something because you knew no one cared about your point of view or you expected a negative reaction? Without a doubt, this is the primary communication problem that most organizations and individuals face. The three primary causes of this problem are invalidation, judgement, and internal focus. 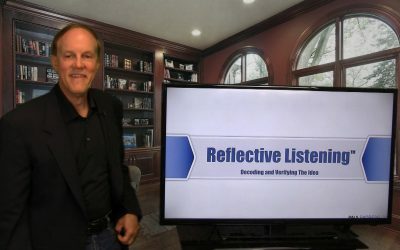 Over the past ten years I’ve developed and refined my Reflective Listening™ program to include teaching, methods, and exercises that resolve this problem in just a few hours. The conclusion of my research and experience of working with tens of thousands of people is that people are 90% the same (which makes my step-by-step systems possible) and 10% different. Think of it as two layers with the 10% difference on the top and the 90% similarity on the bottom. To help everyone understand the 10% surface difference, my Communication Styles 2.0™ model provides an online assessment and individual report that anyone can use to understand themselves and those around them. Whenever people meet each other, expected patterns of communication and behavior are quickly created (within seconds) and the longer people are together, the more entrenched the patterns become. These patterns are valuable if they are positive and empowering, but destructive when they are not. Values are certainty about what is important and hidden agendas are caused by mismatched values. On the surface this doesn’t seem like a communication problem, but it is because once people understand their values hierarchy (every person, team, and organization has one whether they know what it is or not), effective communication strategies can be used to align the values and resolve the conflicts. Yes, there really are difficult people. The solution to difficult people is to understand that bad behaviors are done for good reasons. The difficult person is being difficult because they gain something positive (from their viewpoint) from their bad behavior. 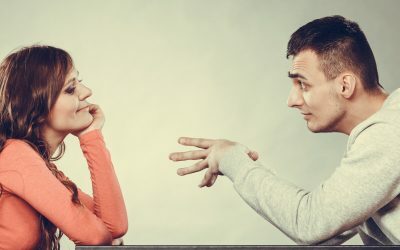 Therefore most difficult behaviors can be resolved using my three step method (1) determine what the person gains from the bad behavior (2) stop them from getting what they want when they do their difficult behavior (3) give them a better way of getting the positive outcome they are seeking using their difficult behavior. Email (and even texting) is a valuable business tool, but it is ineffective and dangerous when it is used for complex or emotional issues. We have all had an email that was perfect clear when we sent it be horribly misunderstood by the receiver. Unfortunately, this can result in destroyed business personal relationships, wasted time, and financial losses. Paul Endress is an entrepreneur, best-selling author and nationally recognized expert in the science and strategy of effective workplace communication. 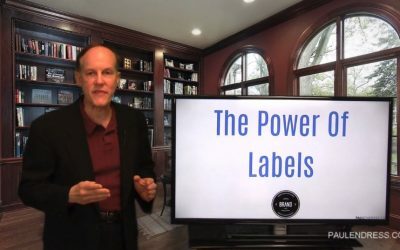 Paul is the architect of two pioneer products, Communication Styles 2.0™ and Communication Dynamix™, which individuals and organizations use to gain a competitive advantage in their businesses. 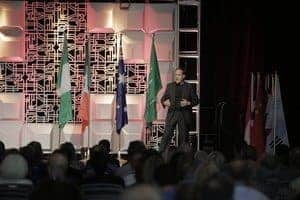 A captivating speaker, Paul has helped tens of thousands of business professionals become outstanding communicators through his coaching, consulting, seminars, speeches, and products. The Wall Street Journal, New York Times, USA Today, and dozens of other leading business publications have quoted Paul’s expertise and insights on effective workplace communication. Thanks again for the tools you provided at our shareholders meeting. I’m noticing that we are regularly trying to employ better listening techniques…and everyone is still trying to figure out how to make the “neutral” positions for listening a more natural part of our conversations. It’s challenging to adapt, but it’s an effective strategy. I’m happy to see everyone making a conscientious effort to actively listen (including me). Many courses deliver content. This was the first short course I’ve ever taken where the material was delivered so well and so convincingly. The effort you have put into preparing and delivering this material is more than I can comprehend right now. The timing, staging, cadence. The Communication Styles workshop was rated the highest component of our training program. It was clear that Paul’s materials were well developed from a content and presentation perspective. However, the defining factor was being able to reach him via voice for a brief conversation to discuss an introductory activity that generated further interest and created immediate value. Each Video Is Less Than Five Minutes – Enjoy! This format is perfect for larger groups and uses teaching and story-telling with a limited amount of audience interaction to set the tone for an event. During the keynote, I will introduce your group to some of the reasons why effective communication is the most sought after (and hardest to find) skill in the business world, and provide two or three specific suggestions that each person can put to use right away to become a more effective communicator before they leave the room. Without a doubt this is my favorite format because it allows for highly customized interaction with the participants. In each workshop I teach step-by-step frameworks to make everyone better communicators and we solve specific individual and group communication problems. During my communication training workshops, we make extensive use of individual and group surveys, assessments, templates, and exercises to make sure everyone has practice using the learnings before they return to work. This makes it highly likely that the strategies will be put to use rather than reverting to existing patterns under pressure. Note: we never do role playing because pretending to be someone else is not an effective learning method. A webinar is a cost effective and fast way of teaching a new communication strategy to a group. My most popular webinar pairs my Communication Styles 2.0 assessment and Personal Insight report with a webinar that teaches the group how to understand their natural communication tendencies and the tendencies of those they work with and then how to adapt and adjust to be more effective with each other. 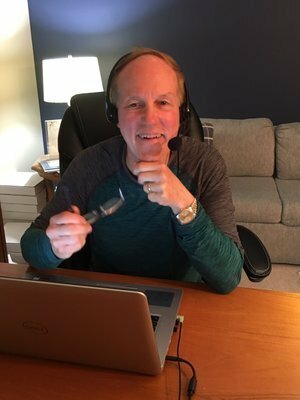 Other standard and customized webinars are available to help everyone in your group become more effective communicators. Individual or group coaching and consulting is available on a very limited basis. A typical coaching engagement begins by discussing a particular issue, problem, or situation and expands to include other opportunities and challenges – many of which may not be directly related to effective communication. Hi Paul I hope this email finds you well! I just wanted to reach out and to say thank you for all of the work that you did with me last year. I am a better leader because of you, have learned to “pause” and have become better at asking questions in order to get to where I need to go. It was this time last year that you took me on as a client and were so supportive. I am grateful, thank you.